Return the protagonists of the game Stupid Ways to Die in its second edition so you can continue saving them from the misfortunes they are about to suffer. You will have to avoid that our characters die doing diverse dangerous activities to continue in the game and to be able to surpass all the tests. In this new edition, there will be packets of levels which you will have to unlock. Each test will give you some clue at the beginning of what you must do to not die in the attempt. Get a lot of points and get the three stars of each level pack to succeed in the game Stupid Ways to Die 2. 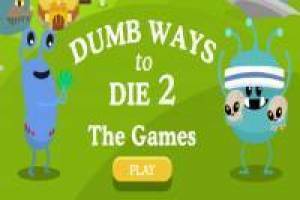 Enjoy the game Dumb Ways to Die 2, it's free, it's one of our humor games we've selected.